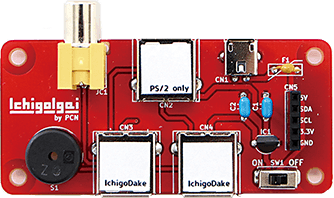 "IchigoDake" is a very compact kids computer that can enjoy programming by plugging into "IchigoIgai". You can carry it any time, anywhere, according to the scene. Sorry, these products are only shipped to Japan as of now. IchigoDake of IcnigonQuest which can be programmed with only the arrow keys / Esc key / Enter key. 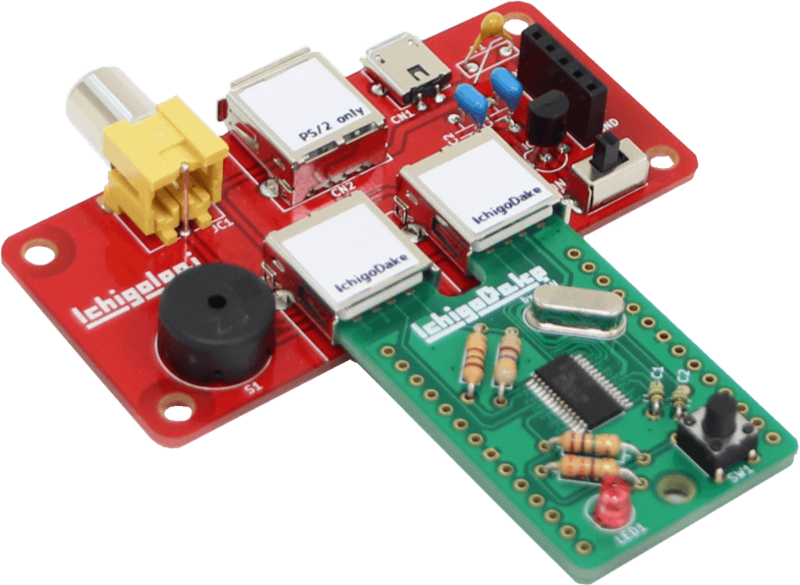 We made IchigoJam compact as it was. 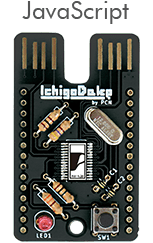 It is IchigoDake which can be programmed with BASIC. We made IchigoLatte compact as it was. It is IchigoDake which can be programmed with JS. Let's keep bulky items, such as keyboard, monitor and power supply. It is a standard IchigoIgai that can be connected to IchigoDake. It corresponds to DakeJacket, IchigonQuest / IchigoJam / IchigoLatte (OS). Please download and install it on your existing IchigoDake. The normal version OS can be downloaded from each official site below. Because it was optimized for DakeJacket, there are some functions which can not be used in each OS. 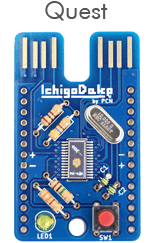 It is a dock station for IchigoDake which made it possible to overlay IchigoJam compatible expansion board.